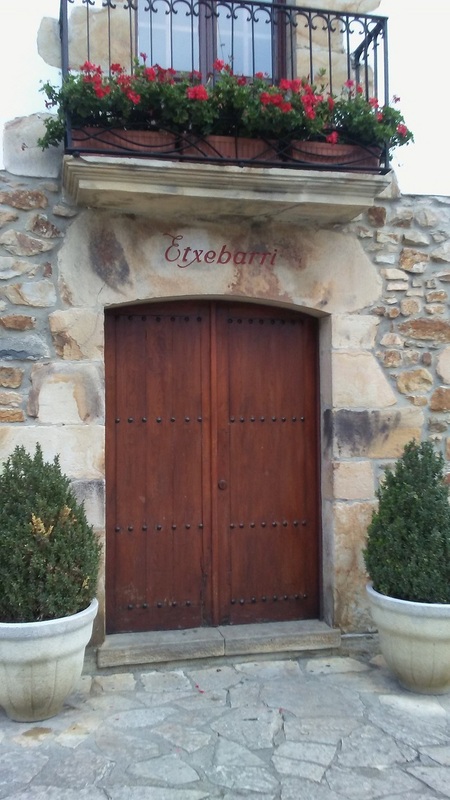 Entrance to Asador Etxebarri in Axpe, Vizcaya Spain. Passing through Toulouse has become a habit, as it is the closest major airport to our house in Orthez. 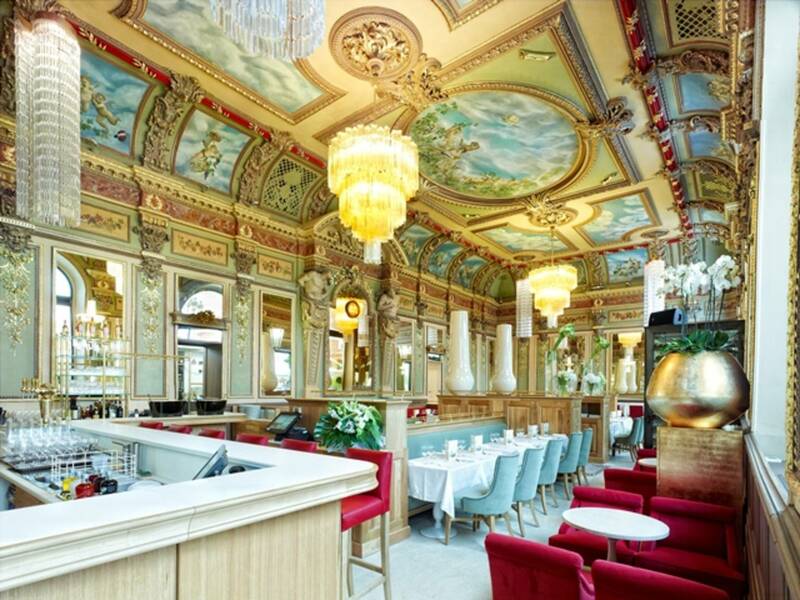 For this reason, magnificent main dining room at Bibent on the Place des Capitouls has become our go-to first meal in France. After 16 hours in transit (more or less), its reliably plush banquettes, attentive service and simple but well done menu gr, filled with grand classics of the cuisine bourgeois, seem like a the perfect way to decompress. Bibent has a storied history that began in the early 1900s. Ideally located in Toulouse’s central square, Bibent was designed to be the most luxurious address in town. Its Art Nouveau moldings and hand painted frescoes endured for years but were finally painted over in gold to avoid expensive upkeep as the mode for Grand Brasseries faded after the wars. It was the Grand Crise of 2008 that finally closed its to doors after more than 100 years in operation. Fortunately for Toulouse, Christian Constant, one of its native sons who had made it big with three restaurants in Paris, decided to reopen the space after a meticulous restoration. Constant, who is often cited as the father of the Nouveau Bistrot movement in the 1990s in Paris because he trained a number of its adherents while he was the chef at the storied Ambassadeurs restaurant at the Hotel Crillon, installed a menu is an ode to top quality ingredients, simply prepared (as much as that sounds like a cliche now, it is still very rewarding when well done). Oeufs a la Meurette, blanquette de veau, hand chopped tartare de bœuf, baba au rhum. You get the idea. Not far from Bibent is new arrival (or at least a new discovery for me) Barallel. A wine bar featuring mostly organic, biodynamic or natural wines and specializing selections from the area around Toulouse (pretty much requirements for any up and coming wine bar in France these days), it also features 6 handles of beers brewed in its own mini-brasserie, visible through a glass wall at the back of the room. A unique feature for a bar that only has room for 50-ish guest. Friendly people behind the bar, friendly pricing on the list and a selection of cheese and meat plates from local artisans. Not surprising that finding a seat is always a challenge. Recently, a guest of Le Pichet asked me for advice for an upcoming trip to Paris. She is to stay on the Île de la Cité, and was hoping for recommendations on a simple Left Bank restaurant in the style of Le Pichet, a grand restaurant for a splurge, museums and some advice on tipping. I am reprinting my reply here in the hope that they may be useful to others lucky enough to be heading to Paris soon. 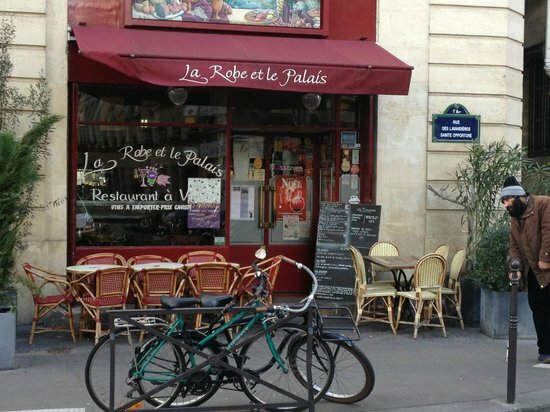 Note that these recommendations are not intended to be comprehensive, as Paris offers an endless palette of choices; these are just the things that answered her request. Enjoy! If you leave the old center of Toulouse, crossing the Garonne via the pont Saint-Pierre, you will arrive in the left bank quarter of Saint-Cyprian. Less picturesque and with fewer sites to attract visitors, this side of the river offers instead the charm the of a French town quietly going about its daily routines. 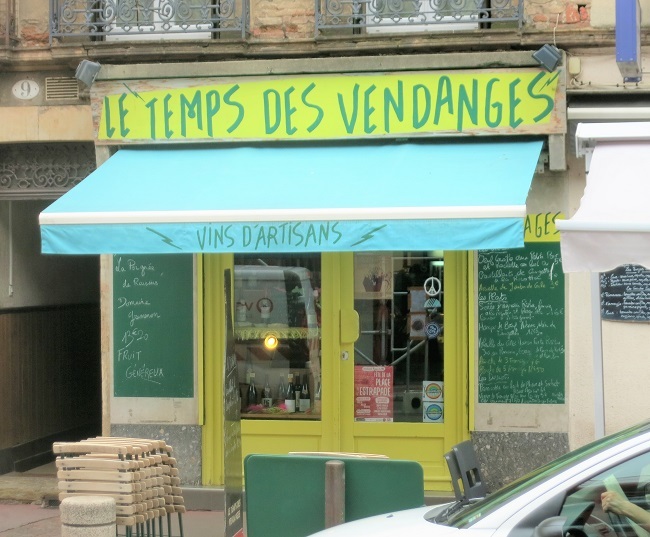 Located on the pocket sized Place de l’Estrapade at the center of the Saint-Cyprian, Les Temps des Vendages is at heart a cave or wine shop. The walls of the tiny front room are lined with bottles that reflect owner Eric Cuestas’ passion for organic, biodynamic and natural wines, what he calls Vins d’Artisans. By virtue of a tiny kitchen at the back and 10 small tables tucked in between the cases of wine, the cave becomes cave a manger at lunch time. Each day, the kitchen offers a short menu of seasonal dishes that look simple but surprise with their depth of flavor and technical accomplishment. A cheese course we ordered was composed of a drippingly ripe Brie de Meaux, a cow’s milk tome from the Ariege hamlet of Bethmale and a herb crusted sheep’s milk cheese from Corsica. The owner selected these from a small but very packed display case full of cheese and charcuterie at the back of the room. Are these today’s cheeses, I asked? No, he selected these to match the bottle of red wine from the Clos de Tue Bouef in the Touraine that we had been drinking. By the time that a dessert of goat’s milk panna cotta with gariguette strawberries (a specialty of the region) arrived, it had become clear that this simple little cafe and wine shop is anything but. Instead, it offers something that is rare these days. Impeccably sourced food and wine, prepared and served with skill and an amazingly humble sense of the virtues of a job well done. Afternoons finds the pleasant terrace out front filled with tables of friends sharing a bottle of wine and a plate of charcuterie or cheese. Neighbors pass by to purchase a bottle and some cheese or rillettes to take home. Just another day in paradise. Reservations: Lots of space on the terrace, but if the weather is bad, reserve on of the 10 tables inside. 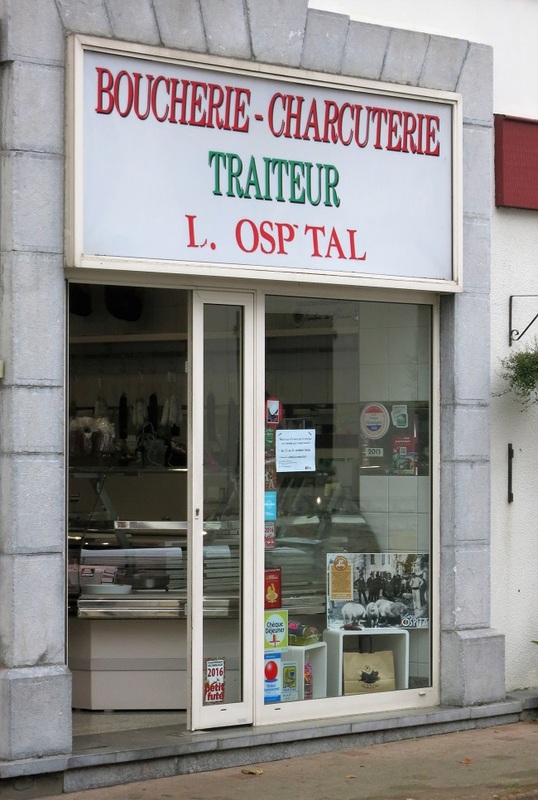 Few people would guess, on passing this nondescript butcher shop in the small Basque town of Hasparren, that they are passing perhaps the most famous charcuterie in France. 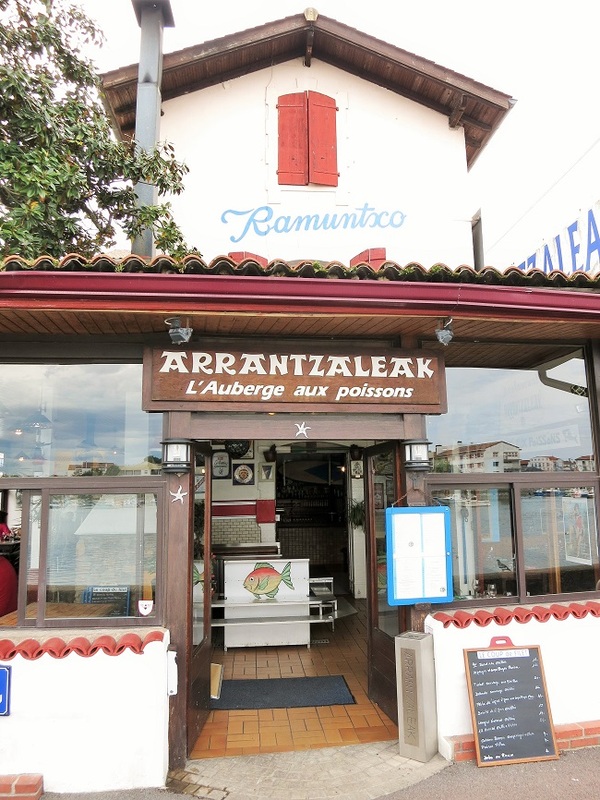 This tiny store front was first opened in the 1970’s by Louis Ospital, who was part of a tiny group of hog farmer and ham makers (3 of each to be exact) who, in an effort to foster a return to traditional methods of making Jambon de Bayonne, created the Jambon Label Ibaiama. The label Ibaiama (which means “mother source” in Basque) includes only hams made from traditional Basque hog breeds using traditional handcrafting and aging methods, and has come to be recognized as the finest ham made in France. 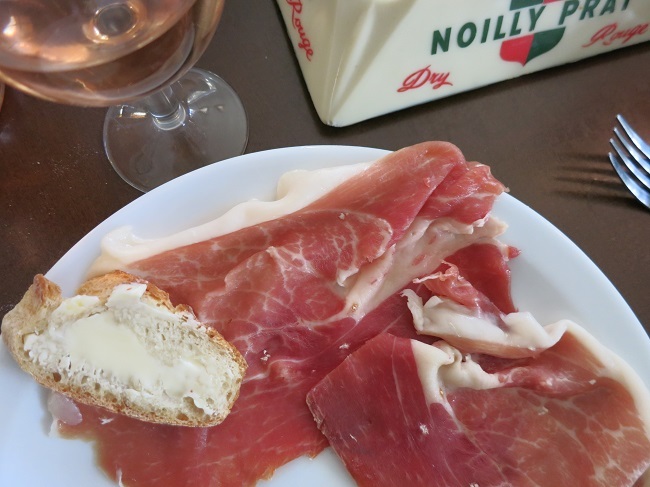 Jambon Ibaiana from maison Ospital and its ideal accompaniments: good bread and butter. Despite his celebrity status, the current day charcuterie of Éric Ospital is almost unchanged since his father’s day, with an amiable mamie behind the counter taking her time to serve a queue of longtime local clients. The ham is sliced by hand or on a slicer (older clients seem to prefer their ham sliced thicker, and therefore by hand) and the chipolatas and basque boudins wrapped to order in waxed butcher paper. 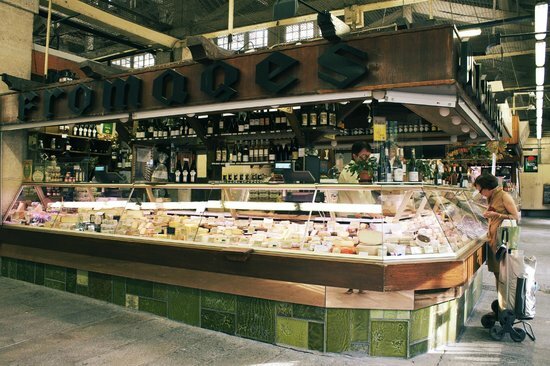 The shop still offers fresh pork and Basque specialties “en conserve” in addition to its famous hams and cured meats. Some things don’t change after all. The best winstub in Strasbourg hides in plain sight. 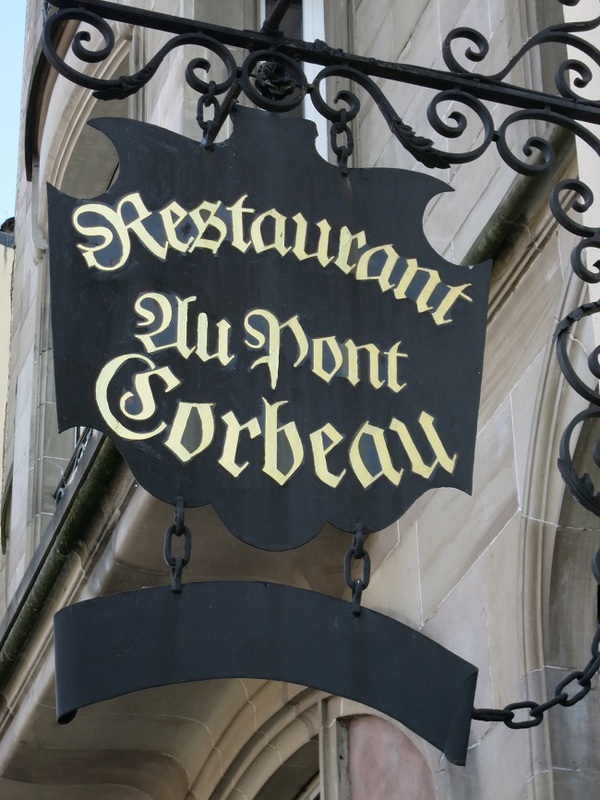 Restaurant Au Pont Corbeau is located right on the quai Saint-Nicolas, a somber, almost windowless brown facade frowning out at the Musée Historique de la ville de Strasbourg located just across the river in the heart of the old town. If you didn’t know it’s reputation, you probably wouldn’t give it a second look. Fortunately, an acquaintance who lives in the area recommended it to me, saying that it is the winestub where “the locals go”. Walking in to the dark wood lined dining room, you can believe that this is true. The clientele seems to be mostly older and well healed people from the neighborhood. Well dressed older couples. Groups of bankers in business suits with their jackets handing on the backs of their chairs. A society matron lunching with what appears to be a daughter, a grand daughter and a great grand daughter. A table of retired men, enjoying a couple bottles of wine with lunch and finishing with schnapps. In other words, people who like to eat well, who know good food when they eat it and who seek the comfort of always finding their favorite dish on the menu. That’s is the essence of Au Pont Corbeau. Traditional cuisine of Alsace, prepared with attention to detail, like it has been for 90 years, served with care, warmth and humor in a crowded, convivially noisy room. Eating well, on dishes you know and love, with people you enjoy. Start with a fat slice of house made goose foie gras terrine “mi-cuit”. Then maybe plump filets of herring marinated in white wine and olive oil. Or presskopf, pig’s head terrine sliced as thick as my thumb, served with potatoes sauteed with garlic and parsley. The above mentioned matron very carefully and tactfully devoured a thick wedge of crispy puff pastry tourte filled with ground pork and venison, served with carrot, beet and celery root crudités. The bankers shared platters of choucroute nouveau, first of the season sauerkraut garnished with smoked pork shoulder, knackwurst and pork shank. The old buddies were split between the choucroute and a pot of rabbits pieces simmered with Riesling and mushrooms. And just when you think you can’t eat one more bite, a bowl of green salad appears, to, as the waiter explains, help with digestion. If it does its job, a generous slice of fresh fruit tart, maybe huckleberry or tiny yellow mirabelle plums, might just be the way to finish the meal. In the pursuit of new and different dining experiences, we sometimes forget one of the rare pleasures of civilized living: a well made, comforting meal composed of dishes we know and love. They have not forgotten it at Au Pont Corbeau. Reservations: A good idea, very busy lunch and dinner. 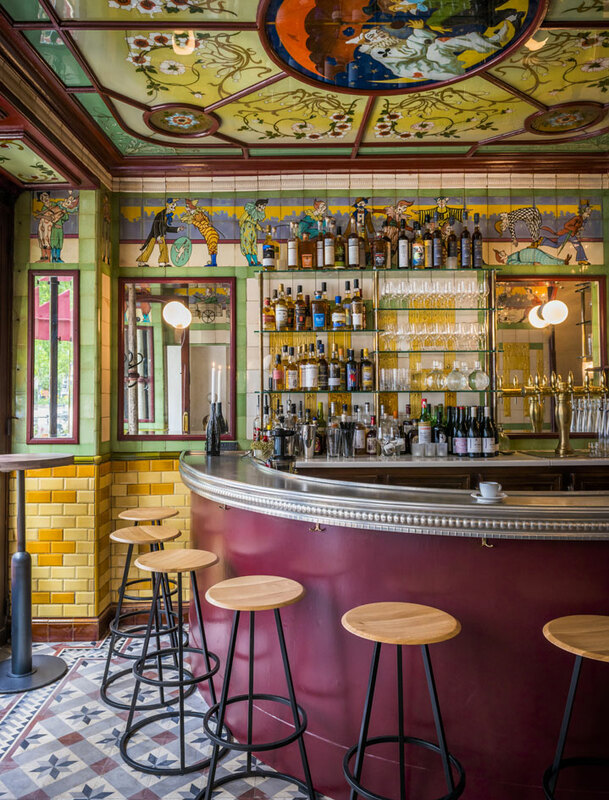 In the past, if you had heard of the Clown Bar at all, it was likely in the context of its wonderful Belle Epoque clown decor, which is so iconic that is often shows up in architecture books on cafes of Paris. The design pays homage to the Clown Bars history as a hangout for performers and audience members from the nearby Cirque d’Hiver, long home to Paris’ circus. 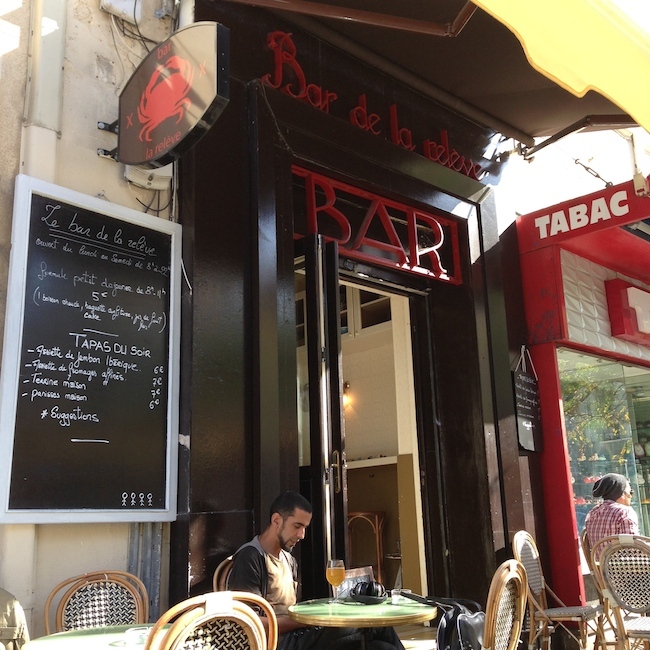 Paris legend has it that Toulouse-Lautrec, among others, used to spend time bellied up to its zinc bar. 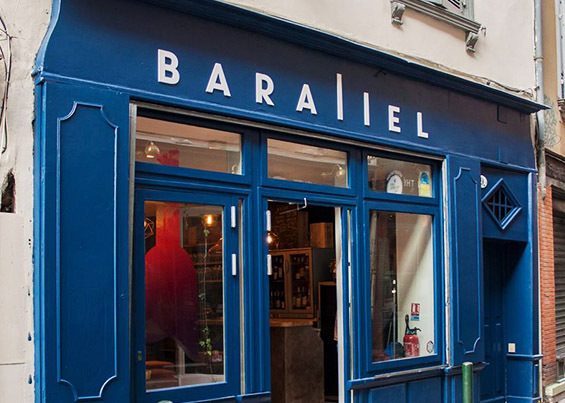 A few years ago, however, the team behind popular 2nd arrondissement restaurant a vin Saturne bought the Clown bar, washed away more than a century of tobacco stains from its hand-painted glass clown murals and re-purposed it as a bistro specializing in clean, thoughtful, modern French cooking. For those of you who might jump to the conclusion that “modern” is a pejorative term for me in the context of French cooking, let me assure you that, in this case, it is not. The food is simple and well prepared, the ideas and flavors direct and delicious, all while still subtly evoking traditional french bistro fare. In other words, modern in the best sense. The foie gras terrine smothered with shaved raw champignon de Paris and the beignets of sea snails with aioli were both perfect examples of the kitchen’s style: surprising updates on traditional dishes that seem both new and intuitive at the same time. The wine list skews decidedly natural, at least that is what I have heard. When we were there, the young man running the dining room made lovely wine recommendations after discussing our menu choices with us, so I never had to look at a wine list. All his choices seemed well considered and showed a real affection for the rapport between simple food and simple country wines (which is code for nice wines that went will with the food and didn’t break the bank). Lots has already been written about the young Japanese chef and French sommelier who are in charge, so I wont add to the œuvre. Suffice it so say that is is always a pleasure to find a new spot in Paris doing good food at a fair price. Reservations: Always a good idea in Paris, especially in a small space such as this. On the borderline between the 11th and 12 arrondissements and to the east of the Bastille is a neighborhood that is referred to alternately by reference to its main thoroughfare (the Faubourg Saint-Antoine) or its metro stop (Ledru Rollin), or, as often as not, by its market, the Marché d’Aligre. Which makes sense, because the market is the heart of this neighborhood, and like its neighborhood, it is an amalgam of the very traditional and the current, old and young, bursting with the flavors of France, which in modern Paris means also North Africa, the Levant and Asia. The market consists of one of the oldest covered market in Paris, the Marché Couvert Beauvau, and the street market that spills out of the Beauvau into place and rue d’Aligre , from which the market takes its name. Quite simply put, this market is one of my favorite spots anywhere, and one that I almost never miss when I am in Paris. Poissonerie “La Marée Beauvau”, inside the covered market, a beautiful selection of fish and shellfish, and they have a single table for 2 where you can enjoy a plate of oysters and a glass of muscadet. Boulangerie Moisan, an organic bakery facing the market The fennel and raisin rolls are fantastic. Fromagerie Philippe Langlet inside the covered market offers the most amazing selection of goat cheeses I have ever seen. Boucherie “Les Provinces” along rue d’Aligre behind the market vegetable stalls; you can select your preferred cut of “bio” beef, lamb or veal butcher case, then pay the 9 euro “droit de cuisson” to have them cook it and serve it to you with salad and roasted potatoes in the small dining room next door. At the south end of rue d’Aligre, Halal butcher shops predominate, some with rotisseries offering roasted merguez sausages in addition to the more usual roasted chickens. The surrounding neighborhood is particularly rich in restaurants, bars and wine bars, like the legendary Le Baron Bouge, (formerly Le Baron Rouge…it’s a legal thing, don’t ask) where shoppers meet for a glass of wine and a plate of charcuterie after the market closes. Also not far are Chardenoux, Au Vieux Chene, l’Ebauchoir and Le Siffleur de Ballons, all places that find their way on to my list when friends ask for Paris recommendations.